The rising prevalence of bronchial asthma has led to world-wide efforts to understand and stem this development. Cross-sectional studies appear to show that early childhood use of antibiotics may be an important contributory factor, with paracetamol as an additional suspected cause. However, mounting evidence, which is reviewed here, points to various confounding factors as the major reasons for these reported associations. PubMed and EMBASE were systematically searched for studies on associations between antibiotics and/or paracetamol with asthma and/or wheezing, published up to November 2012. A total of 64 pertinent studies were identified, 35 focusing on antibiotics, 19 on paracetamol, and ten addressing both antibiotics and paracetamol, bringing the number of relevant datasets to 74. Numerous studies were cross-sectional and made no adjustment for the indication of antibiotics or paracetamol; consequently, they were unable to dismiss possible confounding by indication. Where such adjustments could be performed (mostly in longitudinal studies), they substantially weakened or entirely eliminated the association with asthma or asthma surrogates present in the unadjusted data. The weight of evidence of the collected studies in our review strongly suggests that the association of antibiotics with childhood asthma reflects various forms of bias, the most prominent of which is confounding by indication. Recent studies and meta-analyses support the same conclusion for paracetamol. Truly indicated antibiotics should not be withheld from infants or young children for fears they might develop asthma. Likewise, there is no sound reason to replace paracetamol as the preferred pain relief and fever medication in this age group. The online version of this article (doi: 10.1007/s00228-012-1463-7) contains supplementary material, which is available to authorized users. The highly complex pathogenesis of bronchial asthma leaves little room for simple answers and remedies. This setting has led to the formulation of hypotheses aimed at providing straightforward explanations and may explain the eager acceptance of results from numerous, mostly cross-sectional studies postulating causative roles for medications, such as antibiotics and paracetamol, used in pregnancy or early childhood. The nature of the factors involved in bronchial asthma—a disease of worldwide importance, possibly linked to drugs with universally high exposure levels—makes such a possibility highly intriguing, and if true would call for clear consequences. It is the scope of this review to appraise the available evidence. As the abundance of reiterative publications has a propensity to obscure the general picture and possibly impede the identification of higher quality studies, we have undertaken a comprehensive appraisal following predefined rules, with the view to structuring the published work according to the level of evidence. Further, the wealth of dedicated work and publications made it advisable to narrow the focus to exposure in early childhood. PubMed and EMBASE were searched up to 1 November 2012 using two different sets of terms: (1) (antibiotic or antibact) and (asthma or wheez) and (children or childhood) and (study or trial); (2) (paracetamol or acetaminophen) and (asthma or wheez) and (children or childhood), and (study or trial). Twenty-six additional studies were found by searching reference lists of relevant articles. In total, 1,288 papers were found. In the first assessment round, guidelines, review articles, letters and comments, and duplicated publications/listings were discarded, as well as non-English articles and papers addressing conditions other than asthma or wheeze or focusing on management rather than risk factors (Fig. 1). In a second assessment round of ‘fine-tuning’, duplicated or interim publications and papers studying the effects of pregnancy rather than childhood exposure, lacking differentiation between adults and children, addressing conditions other than asthma or wheeze, analyzing sales rather than individual drug intake, or focusing on transient wheeze only were discarded. This left 64 studies for consideration, among which ten studies reported on both antibiotics and paracetamol (Fig. 1). Of the numerous birth cohort studies, those including cases after the incident were classified as retrospective, while those identifying cases after recruitment were considered to be prospective. Of the outcome parameters and results, only wheeze and asthma were considered and listed. While other outcomes, such as eczema and allergic disposition, were studied and reported, these might support or speak against associations, but are not decisive for this review. Wheezing alone does not justify a diagnosis of asthma in preschool children. As early as 1995, Martinez and colleagues  emphasized that infant wheezing is mostly transient; only in a minority of cases do early wheezing episodes indicate a probability to develop asthma. More recent guidelines and consensus reports [2, 3, 4] reflect this view. Wheezing shows a prevalence of almost 50 % in children aged 6 years and is in most cases associated with frequently recurring viral infections of the upper respiratory tract. Thus, even recurrent wheeze is not equivalent to asthma. The majority of participants of the European Respiratory Society task force  abstained from using the term asthma to describe preschool wheezing illness. A further uncertainty lies in the understanding and use of the term “wheezing” among parents [3, 4]. Frequently a diagnosis is possible only through long-term follow-up and by observing the child’s response to specific treatments . It follows that studies which are based on questionnaires asking parents about wheeze in children of preschool age are of dubious value. This includes the International Study of Asthma andAllergies in Childhood (ISAAC) protocol that was basically laid out in 1995 by Asher , a methodology that essentially relies on questionnaires to be completed by adolescents (13–14 years of age) at school, or at home by the parents of children aged 6–7 years. In Phase II, this was supplemented by questionnaires covering suspected risk factors, including drugs (see website for more details: http://isaac.auckland.ac.nz/). Current views hold that parentally reported wheeze should be confirmed by a healthcare professional , bearing in mind that not all healthcare workers are equally accurate in estimating the severity of wheeze . Asthmatic disease could be suspected in children with a history of >3 episodes of reversible bronchial obstruction documented within the previous 6 months . Also, a history of asthma prescription drugs suggests (but does not prove) that asthma was diagnosed. There is a plethora of hazards suspected to promote childhood asthma, including findings in the neonate and parental factors or indicators [6, 7, 8, 9, 10, 11, 12, 13, 14, 15]. The notion is evolving that epigenetic changes affecting the developing immune system may be the common pathway to many purported causes [8, 16]. Of the invoked postnatal influences, viral infections of the respiratory tract in early life deserve special attention [7, 8, 17, 18, 19, 20, 21]. Early life in this context denotes infancy, i.e., the period between birth and 2–3 years. Prospective epidemiologic studies have shown that up to 80 % of asthma exacerbations in children are associated with viral upper respiratory infections . The underlying mechanisms have not been resolved. Alterations of cytokine balance of the infant lung by early respiratory viral infections have been discussed; mediation by epigenetic changes in inflammatory pathways is an attractive—though unproven—hypothesis [16, 20]. Thus, observational studies face the enormous challenge of adjusting for the appropriate confounders, with no guarantee that the identified risk figures are free of residual confounding. Even worse, the accumulated consequences of several unmeasured confounders with small or moderate effects may be able to produce a sizable contortion of the outcome of interest . Integration of many factors leading to increased susceptibility, rather than invocation of a monocausal increase in exposure to one of the classical asthma risk factors, may be required for a full understanding . Our literature search on the relationship between antibiotic use in early childhood and later occurrence of asthma equivalents (wheeze) and asthma diagnosis identified 45 studies (Table 1). All 20 cross-sectional studies were integrated into or inspired by ISAAC (Table 1) and reported some forms of association between early use of antibiotics and wheezing and/or asthma. In ten of the studies, a causal association was considered likely; in one case there was no statistically significant association ; in two studies the authors avoided making such a conclusion  or linked a possible risk to a special disposition ; in five reports the association was either not discussed [28, 29], discussed with some scepticism [30, 31], or explained by confounding factors ; in one study, the association vanished when the odds ratios (OR) were adjusted . Similarly, Wjst et al. considered reverse causation to be the most likely explanation of associations between the use of antibiotics and wheezing/diagnosis of asthma. This conclusion was supported by a substudy in which parents were asked about the indication for use of asthma medication. The association with asthma vanished when only non-pulmonary indications were considered, and the OR for wheeze was substantially reduced. Two case–control studies nested in birth cohort studies also fall into the category of cross-sectional studies. No clear conclusion on the association with antibiotics was offered by Martel et al. , whereas Thomas et al. reported that more cases than controls had received antibiotics during the first year of life and had been prescribed antibiotics for lower respiratory tract infection during the first 3 years of life. Statistical significance was borderline and was found only for prescriptions over the whole 3-year period [OR 1.47, 95 % confidence interval (CI) 1.01–2.13]. Conspicuously, no difference was noted in single-year comparisons, including the important period between 0 and 1 year of age. Markedly different conclusions on antibiotic-induced risk of childhood asthma were drawn by the authors of four retrospective birth cohort studies [37, 38, 39, 40], of which the authors of only one study recognized a significant association . The notion arrived at by the authors of the remaining three studies was that the observed associations were best attributed to various kinds of bias. McKeever et al. reported small associations that could largely be explained by consulting behavior. Children with asthma were more likely to have early respiratory tract infections. These authors considered that the association might be more in keeping with reverse than true causation. Two additional studies are illustrated in Fig. 2. Cullinan et al. collected self-reports of asthma and compared them with contemporary medical records. The use of antibiotics in the first 5 years of life was associated with later asthma, but only when antibiotics were prescribed for lower respiratory infections. No association was found with non-respiratory infections. The authors considered reverse causation bias as the most plausible explanation. Almqvist et al. distinguished between antibiotics typically used for airway and non-airway infections. Only the former group was associated with a significant hazard ratio (HR), and the authors concluded that there was reverse causation or confounding by indication due to respiratory tract infections. Nineteen prospective birth cohort studies were found (Table 1), yielding a similar picture. In five studies, a causal association was suspected. No discrimination between antibiotics could be determined in two of these [41, 42]; in two other studies, associations were found to be limited to certain antibiotic subgroups [43, 44]; in the last study a small risk was concluded by Marra et al. , but refuted by the same group in a later study . Two studies reached more or less equivocal conclusions. Mitchell et al. felt that their data strengthened the hypothesis of a causal relationship, but acknowledged the possibility of confounding by indication. In the second further study, the possibilities of causation and of confounding by indication were given similar weights . Various forms of bias strongly arguing against an association were identified in the remaining 12 prospective birth cohort studies, or no association was detected at all (Table 1). Of this subset, five studies may serve as instructive examples. Three of these are illustrated in Fig. 2. Adjustment for typical confounding factors  or respiratory infections in the history of the patients [50, 51] led to sizable to dramatic decreases in the respective OR, which in each case lost their statistical significance. In a study by Illi et al. , antibiotics given for lower respiratory tract infections were excluded from the analysis, which probably explains the absence of an association between childhood antibiotics and a later diagnosis of asthma. Finally, Harris et al. tested associations for respiratory and non-respiratory infections separately. All associations observed with early use of antibiotics were weak, and non-respiratory infections associations, slight or borderline, were detected in only two of the six analyzed age brackets (Table 1). 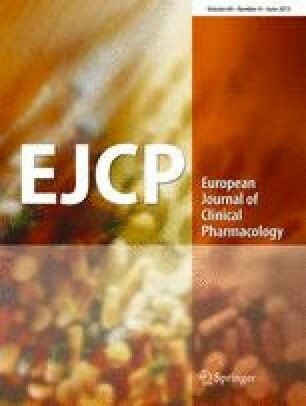 There are numerous non-randomized studies, both prospective and retrospective, which report findings supporting the notion that exposure to paracetamol in the first years of life, and/or the year preceding data collection, is associated either with diagnoses of asthma at the age of 5–6 years or later, or at least with signs (mainly wheezing), which suggest a propensity for developing adult-type asthma at a later date. Our literature search identified 29 relevant studies. The majority of these (21) are cross-sectional, of which 19 form part of or were designed in keeping with ISAAC (Table 2). All of these studies reported some form of association. The authors of only two of the ISAAC-type studies seriously questioned the causality of the detected association  or concluded a major or decisive role for confounding factors . Of two case–control studies, the authors of one considered sizable contributions by various forms of bias , the authors of the second cautioned against distortions by recall bias and reverse causation . Six prospective birth cohort studies were found. In a first study , use of paracetamol was documented until age 7 years. The primary outcome was asthma at 6–7 years; one of the secondary outcomes was infantile wheeze. While the crude data showed that increasing frequency of paracetamol use was weakly associated with an enhanced risk of childhood asthma, this association vanished after adjustment for frequency of respiratory infections (Fig. 3), strongly suggesting that the data were confounded by indication. As predictable for such confounding, use of paracetamol for non-respiratory causes was not associated with asthma . Similar conclusions were drawn by the authors of another prospective population-based birth cohort study  investigating the association between febrile illnesses and antipyretic medication during infancy and the later development of allergic disease. There was a clear distinction between respiratory and non-respiratory infections. The number of paracetamol treatment courses for gastroenteritis or urinary tract infections did not differ between asthmatic and non-asthmatic children, contrary to expectations were paracetamol to have a pathogenetic role in asthma. On the other hand, prescriptions for respiratory tract infections were more frequent in asthmatic than in non-asthmatic children. Altogether, in this study usage of paracetamol correlated with the number of febrile days, rather than with diagnoses of asthma. This result is in agreement with that of a prospective study, which showed that adolescents diagnosed for asthma also had a history of more febrile days in early childhood than non-asthmatic adolescents . Relevant data are also available from the Avon Longitudinal Study on a population-based birth cohort . Weak associations in the crude data were reduced to borderline by careful adjustment for possible confounding factors (with the exception of airway infections). As infant paracetamol use was associated with childhood asthma only in children who had wheezed in infancy (Fig. 3), the authors concluded that the association may be confounded by pre-existing wheeze or allergy. The association between allergic disease and use of paracetamol during pregnancy and during the first 6 months of life was investigated in another longitudinal study . A detailed questionnaire in the maternity ward and a parental record of the infant at age 6 months were followed by an outcome assessment 10 years later. This assessment was essentially based on ISAAC questions, but with the improvement that recognition of a history of asthma required interaction with the health system, deduced from fulfilling two of three relevant conditions (pertinent symptoms, a physician’s diagnosis of asthma, use of typical asthma medication). Crude data showed no association between paracetamol use during the first 6 months of life and a subsequent history of asthma. Adjusting for gender revealed an association in girls (but not in boys), which was insensitive to adjustment for respiratory infections. However, there was no association with current asthma or current wheeze, irrespective of adjustments being made or not. The authors made the point that association with a history of asthma, but not with current asthma, makes causation questionable, as the former finding could reflect wheezing and reverse causation. Paracetamol use during pregnancy was not associated with any outcomes of interest at 10 years, including current asthma or history of asthma. At odds with these studies are the results of the investigation by Amberbir et al. who used data from a population-based cohort in Ethiopia, followed from pregnancy to the age of 3 years. Symptoms of respiratory infection were surveyed at 2 months and 1 year. According to the completed ISAAC questionnaires, use of paracetamol in the first year of life was associated with the incidence of wheeze, but also with symptoms of respiratory infections. Adjustment for such symptoms only slightly reduced the strength of the association. The authors concluded an association between infantile use of paracetamol and an increased risk of incidence of wheeze. It should be noted that wheezing at 3 years is no safe predictor of later asthma. Given the technical difficulties of that study, factors such as recall and misclassification bias or confounding by indication can probably not be dismissed. Finally, ambivalent signals come from the study by Wickens et al. . Due to the use of ISAAC questionnaires the indications for paracetamol use remain unknown in this study. For asthma and wheeze at 6 years, an association was obtained for use of paracetamol between 5 and 6 years of age (>19 times), but not for early use. For less frequent use between 5 and 6 years of age (3–10 times), an association was found for wheeze, not for asthma; adjustment in a subgroup for chest infections in the period between age 5 and 6 years weakened but did not dissipate the association. However, as this adjustment did not cover the critical period of infancy (i.e., between birth and 2 or 3 years), it is not sufficient to dismiss a role for confounding by indication. The authors presented an equivocal discussion considering a causal relationship as well as a role for recall bias, reverse causation, and confounding by viral respiratory infections. Thus, while cross-sectional studies on the pathogenesis of juvenile asthma would suggest a risk of using paracetamol in early childhood, such risk disappears or is hardly discernible in the majority of longitudinal studies. This notion is also supported by a birth cohort study (n = 2,091) that has been published in abstract form  and hence not been integrated in Table 2. A sizable association between frequent paracetamol use at the age of 4 years and wheeze at 6 years in the Leicester Respiratory Cohorts was evident in the crude data, but entirely disappeared after adjustment, among others for respiratory symptoms. The authors suggested that the association could be totally explained by confounding. In a large double blind trial, children in need of antipyretic treatment, including 47 % with a respiratory infection, were randomized to receive paracetamol or ibuprofen and followed up for hospitalization under a specific diagnosis. There was no difference between the two drugs in terms of hospitalization for bronchiolitis or asthma during the 4-week follow-up period . Using a very similar design, the same group later studied asthmatic children with febrile disease . Again, hospitalization for asthma was not different between the paracetamol and ibuprofen groups. However, outpatient visits for asthma were more frequent if paracetamol was used for antipyretic treatment during respiratory infections, but there was no difference for other causes of fever. The authors concluded that either paracetamol caused asthmatic symptoms or ibuprofen afforded protection. The latter alternative would be more appealing, as harmful effects of paracetamol should not have spared patients with non-respiratory causes of fever. The short duration of the study would call for confirmation over longer periods. The 64 studies considered in this review embrace a large number of cross-sectional reports, which, mostly relying on the unmodified ISAAC questionnaires, keep being published at a steady rate and attract attention, even though their shortcomings were recognized early. Despite the increase in knowledge achieved with the ISAAC methodology, the use of uniform questionnaires has also perpetuated basic shortcomings. With regard to antibiotics (and paracetamol, see below), the lack of regard for the treated disorder is most conspicuous. This is important, as the typical indication for the use of antibiotics in children is fever, frequently caused by respiratory infections; it seems reasonable to assume that antibiotics are often administered even though the airway infection is of viral origin. Thus, any identified association with antibiotics is at risk of confounding by indication (the putative cause and effect items are caused by a third event), for which adjustment is impossible owing to a lack of information. Other obvious sources of bias, typical of cross-sectional studies, are recall bias (faulty recollection of past events), misclassification bias (disagreeing views on the nature of wheezing and asthma; in some studies mitigated by video questionnaires), and reverse causation (the temporal order of events is unclear, so that any putative cause of asthmatic disease may rather be its consequence). For good reasons, cross-sectional studies are considered less conclusive and were consistently excluded from analysis in a recent review . We decided that presenting and evaluating such studies was the preferable approach to simply neglecting them. This broad approach also provided what may be considered a strength of the present overview, namely, a comprehensive appreciation and appraisal of individual publications. The hypothesis of antibiotic-induced childhood asthma has been debated since the late 1990s, and several pathomechanisms have been invoked. However, this discussion may be futile, considering the growing consensus that such apparent associations are mainly due to confounding factors, especially, as reviewed by Kummeling and Thijs , in the form of recall bias and confounding by indication. The same group has recently refined their review in a meta-analysis . Eighteen studies qualified for the overall meta-analysis. The pooled risk estimate yielded an OR of 1.27 (CI 1.12–1.43), indicating a slight increase in the risk of developing asthma and/or wheeze after antibiotic use in the first year of life. Nine of these studies displayed no overlap between the exposure to antibiotics and the development of first wheezing/asthmatic symptoms in the statistical analysis (avoidance of recall bias) and, secondly, presented OR values adjusted for lower respiratory tract infections (avoidance of confounding by indication). In this subset, the pooled OR was 1.12 (CI 0.98–1.26), with the lower 95 % CI of 0.98 indicating that an OR of 1.0 cannot be excluded with certainty . The authors of a concurrent systematic review  arrived at similar conclusions. Five non-retrospective studies, which were attributed the greatest validity because of adjustment for respiratory infection, yielded a pooled OR of 1.13 (CI 1.10–1.17), suggesting a significant but weak association between antibiotic use in early life and childhood asthma. The discrepancy between this appraisal and that of Penders et al. can be explained by the fact that the latter authors  included four additional relevant studies, the majority of which refuted an association between early use of antibiotics and childhood asthma. In line with previous reviews [67, 68], the present overview shows that the evidence to support a role for antibiotics in the development of childhood asthma mostly derives from cross-sectional studies, whereas prospective studies find no or only weak associations. The argumentative basis for a causal role of early childhood use of paracetamol in asthma development has recently been summarized  (cited in italics below), allowing a point-by-point inspection of its soundness. The strength of the association. The use of this term implies that absolute values can denote stronger and weaker associations. OR of <2 are perceived as small. The authors of only four of the 19 cross-sectional studies in Table 2 arrived at OR of >2, and two further studies, dependent on the studied topic, reported values of <2 and >2, respectively. Thus, overall, the strength of the association cannot be considered large. The consistency of the association across age, geography, and culture. The authors of the cross-sectional studies of Table 2 agree that a certain level of confounding cannot be dismissed in their results. Clearly, factors such as confounding by indication and recall bias will show consistency across age, geography and culture. The dose–response relationship. Confounding by indication will show such a relationship: more severe airway infections will cause more febrile days. It is self-evident that more severe febrile illness will prompt a larger consumption of paracetamol. The timing of increased acetaminophen use and the asthma epidemic. Coincidence is not causality. In a recent analysis of the “asthma epidemic,” the authors concluded that gene–environment interactions probably involved in the development of asthma include exposure to animals, endotoxins, tobacco smoke, viruses, ozone, and day-care, among others; no mention was made of paracetamol . The relationship between per-capita sales of acetaminophen and asthma prevalence across countries. As reported in the original study , there was a clear dichotomy between anglophone and other countries, the former being responsible for the bulk of the associations. After controlling for the “anglophone” effect, the reported associations were greatly attenuated or abolished, and most (including asthma and wheeze) became non-significant. Thus, there is certainly no association “across countries” and the argument that “prevalence of childhood wheezing in 36 countries…is predicted by each country’s per-capita sales of acetaminophen”  is a misrepresentation of the data. The results of a double-blind trial of ibuprofen and acetaminophen for treatment of fever in asthmatic children. This trial  has been discussed above. When antipyretics were used for febrile respiratory infections, paracetamol was associated with more frequent outpatient visits for asthma than ibuprofen, whereas no such difference was seen when other causes of fever were the indication. Thus, these results do not support a role for paracetamol in pathogenesis of asthma. The biologically plausible mechanism of glutathione depletion in airway mucosa. Used as a constant topic throughout the literature, this argument essentially rests on two publications. In one study , human alveolar macrophages and type II pneumocytes were exposed in vitro to paracetamol concentrations ranging from 0.05 to 1 mM (7.6– to 151 mg/l). At 0.1 mM (15.1 mg/l, which approximates typical maximal plasma concentrations in humans), a 4-h incubation caused decreases in intracellular glutathione levels by approximately 30 % (read from original figure) or 20 % (indicated in the text). Similarly, daily doses of 4 × 1 g paracetamol, administered for 14 days to human volunteers, caused reductions in antioxidant capacity of the blood, which was interpreted as a reduction in glutathione concentrations. The largest decrease amounted to 25 %. While these observations are frequently viewed as indicative of a potential to cause lung injury, their quantitative relevance is questionable. As discussed by others , plasma concentrations of glutathione display a diurnal rhythm, with meal-dependent increases, which span a 21 % interval between minimal and maximal concentrations (1.1 and 1.4 μM, read from figure) . Thus, as fasting is not considered damaging to lung tissue, the relevance of glutathione depletion by paracetamol to possible lung injurious actions remains to be shown. There are striking similarities between the two therapeutic modalities that have been put forward as contributors to the rising prevalence of childhood asthma. Both antibiotics and paracetamol are frequently administered to treat febrile disease, and as respiratory infections account for a great deal of such disorders in infancy and childhood, (co-)prescriptions for airway infections are common. At the same time, viral, but also bacterial respiratory infections are known to set the stage for asthma development. In hindsight, it has been inevitable that the flood of cross-sectional studies (22 on antibiotics and 21 on paracetamol in this overview) would detect associations between these drugs and asthma or asthma equivalents. As most of these surveys adhered to the ISAAC strategy and hence failed to seek information about the reason for the drug prescription, there was no way to adjust for airway infections and hence no possibility to avoid confounding by indication (see Fig. 4). Nonetheless, with only few exceptions, the authors suggested causative associations, admitted but downplayed possible bias, cited plausible pathomechanisms, and called for controlled studies. While controlled studies are not available, the results from properly designed longitudinal cohort studies, although not randomized, shed more light on possible confounders. We have evaluated 29 such studies, including 25 prospective birth cohort studies. In 12 of 19 prospective studies with antibiotics, the authors concluded that distortion by confounding factors explained most or all of the associations. There were six dissenting studies [41, 42, 43, 44, 45], and with respect to one of these, the authors reached the opposite conclusion on a later occasion . Moreover, Mitchell et al. , while seeing the case for an antibiotic causation strengthened, acknowledged the possibility of confounding by indication. The authors of the remaining study  considered both bias and true causation possible, but suggested confounding by indication in a later overview . Likewise, the authors of three of the six prospective birth cohort studies on paracetamol concluded either a causative role for paracetamol  or considered it possible with different levels of caution [59, 61]. The authors of the three remaining studies [55, 56, 58] reasoned that associations were essentially due to bias. There is growing consensus that the hypothesis of early use of antibiotics promoting asthma in children and adolescents is unproven and false. The striking consistency between antibiotics and paracetamol in these associations strongly argues that a causative role for paracetamol is also much less relevant than the results of cross-sectional studies would suggest. That apparent associations are more likely explained by confounding by indication is also the conclusion drawn by the authors of a recent commentary , referring to possible lessons from the antibiotic hypothesis. A concise summary has been provided by the European Medicines Agency’s Pharmacoviligance Working Party  in its recent statement that available evidence does not support a causal relationship between paracetamol and asthma in children after exposure in early infancy. KH and KUP have acted as expert advisers to bene-Arzneimitttel and Boehringer Ingelheim Pharma on paracetamol risk evaluation. KUP was an advisor to the Expert Advisory Committee for Prescription-Only Issues of the Federal Institute for Drugs and Medical Devices, Germany.